Every year, the team at Premium Christmas Wreaths searches for the absolute best components for our fresh Christmas wreaths. Whether we're growing our own Fraser firs or sourcing cheerful exotic fruits, we incorporate only the freshest, most vibrant components. Because of this, many people assume that our wreaths won't travel well or that they will lose their "freshness" during shipment. Well, we're happy to dispel this myth! 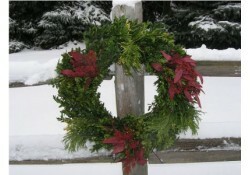 Our wreaths are designed, from day one, to endure transport across the entire country. 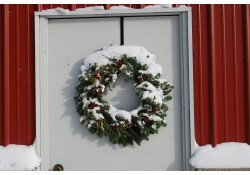 Every year, the team at Premium Christmas Wreaths assembles the most unique collection of fresh Christmas wreaths that we can muster. Aiming to please our wide base of customers, we look for traditional options and quirky options, miniature options and massive options. 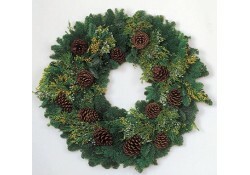 Because of the breadth of our offerings, we're confident that we carry a wreath for every occasion. Whether you're decorating your home for the season or sprucing up cubicles for a festive office party, we know that we've got the wreath that you need. 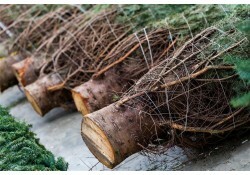 In this post, we're going to look at a few of our options and discuss how they can be the perfect addition to your Christmas decorating scheme. 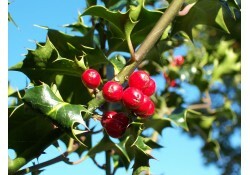 As the cold weather settles in and the colors of fall begin to overtake the trees, people across the country are starting to plan their Christmas decorations. Whether you’re a devotee of light, minimal adornments or you’re a whole-hog, deck-the-halls type, fresh Christmas wreath delivery can simplify your decorating routine and get your home – or office – prepped for the Christmas season.